FYI: There's no such thing as the five-second rule. 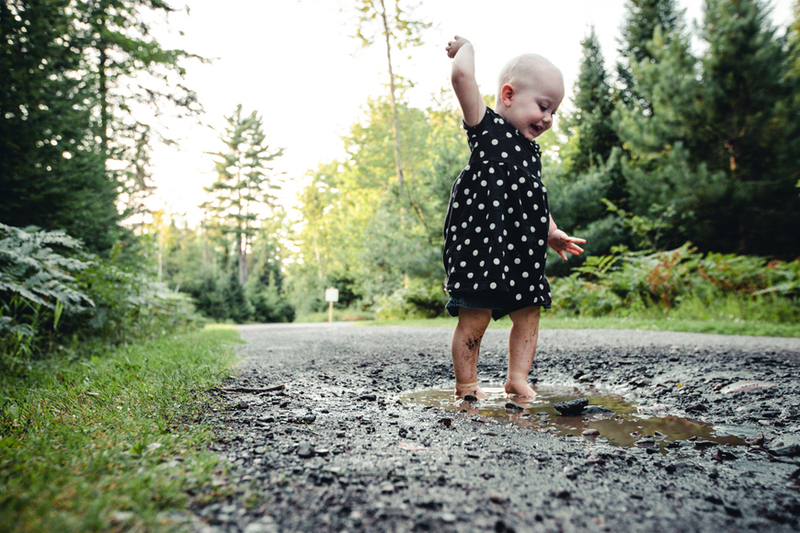 Are you the finicky kind of parent who cringes at the idea of his/her kid near anything muddy? While we totally understand your reasons (hello, 2 hours of clean up! ), you might actually be doing more harm than good. We aren’t just saying that to take your tot’s side. University of Chicago-based scientist, Jack Gilbert claims that dirt’s good for your child. In his second book, titled, Dirt Is Good: The Advantage of Germs For Your Child's Developing Immune System, which he has co-authored, Gilbert highlighted the importance of letting little ones play outside and get some one-on-one action with pets. According to Gilbert, many parents are over sterilising their environment by keeping their kids 10 miles away from ever getting dirty. In an interview with NPR, Gilbert said, "In the past, we would have eaten a lot more fermented foods, which contain bacteria," he said. "We would have allowed our children to be exposed to animals and plants and soil on a much more regular basis. Now we live indoors. We sterilise our surfaces. Their immune systems then become hyper-sensitized." Jack Gilbert's logic does make sense. Read on to find out some other myths he clarified. 1. Keeping your baby away from furry friends. All parents know, when given a choice, kids would run to tumble and tussle with the family's pet and there's absolutely no harm in it. According to Dr Gilbert, all tamed furry animals are good for your baby's health. In the same interview, he argued that parents shouldn't keep their kids away from animals. He said, "It's fine to wash their hands if there's a cold or a flu virus around, but if they're interacting with a dog, and the dog licks their face, that's not a bad thing. In fact, that could be extremely beneficial for the child's health." Contrary to what we all believe, hand sanitizers are a BIG no no. Use hot or mildly warm, soapy water to wash your tot after a dirt session. Don't rush to drain your kid in hand sanitizer as they'll only weaken your baby's immune system. Yep. It's just a fad. According to Dr Gilbert, "It takes milliseconds for microbes to attach themselves to a sticky piece of jammy toast, for example. But it makes no difference. Unless you dropped it in an area where you think they could be a high risk of extremely dangerous pathogens, then there's no risk to your child."